The Type-C connector provides consolidation of High Speed Serial consumer standards like USB 3.1, DisplayPort 1.4, and Thunderbolt, providing low power, low cost, higher speed and higher resolution displays. 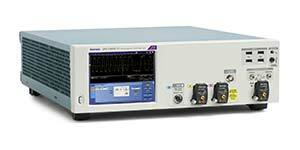 This translates to new design challenges due to the need for emphasis on the transmitter side and equalization on the receiver side making it difficult to keep design costs low while maintaining optimal electrical margins on your products. Compliance level testing time is critical and the sheer number of measurements required make automation important. 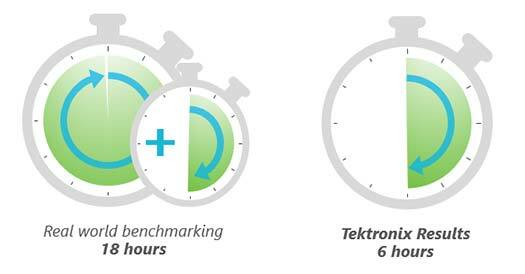 You get fast push-button pass/fail compliance information with TekExpress based test automation software (for example 3X faster than a competitor's software for DisplayPort). To characterize the designs, there is a need to perform vertical and horizontal jitter decomposition to understand device behaviors. To build confidence on the margin of devices, you need the ability to render an eye diagram with extrapolation and analyze the channel effect on the signal at the far end using different channel models. 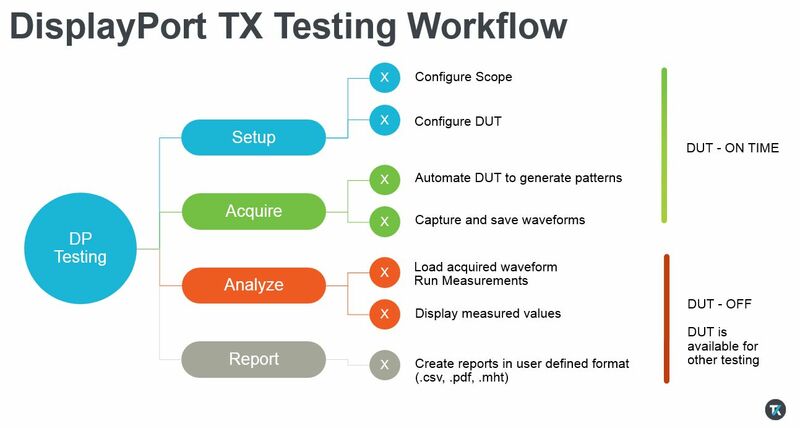 Go beyond simple pass/fail compliance and get in-depth debugging insight (jitter, noise, eye height/width, visualization plots, using BER contours) into compliance failures with Tektronix DPOJET. 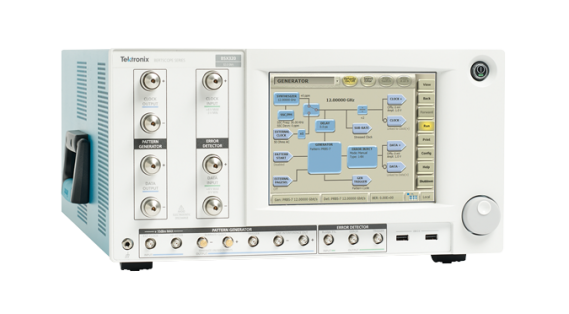 Pick the optimal channel needed for your designs with Tektronix SDLA that supports different channel models to simulate the effect on signal. Analyze waveforms in offline mode and collaborate with your global teams to reduce your time to market. BER contour for USB 3.1 Gen 2 at 10Gbps extrapolated at 1E-12. 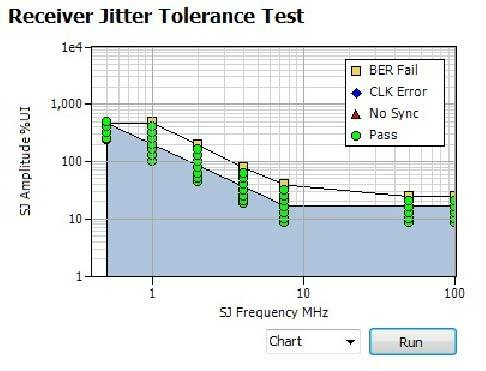 USB receiver jitter tolerance margin test with single-click operation. Debugging DUT loopback issues are difficult because typical BERTs don't support protocol handshaking and logging. 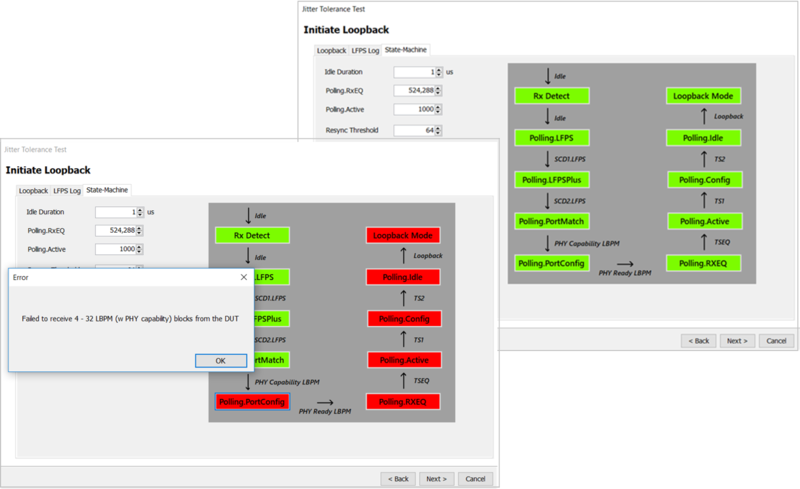 The protocol sequencer in the Tektronix BSX series BERT solution addresses the challenge of debugging loopback issues. Receivers can be expensive to design and overdesigning margins on the receiver can be even more expensive. It’s a tricky affair to ensure that the receiver has sufficient margin to pass compliance, be competitive, while maintaining the cost of the parts. Margin analysis tools on the BERTScope help you understand the margin available on early designs and make the right kind of trade off decisions before you finalize your designs. When the DUT is in loopback, all states and sub-states colors will be ‘green’. If not the failed states turn ‘red’ and are clickable to receive a diagnostic message. Quickly and easily reference important USB specifications without having to comb through hundreds of pages. This guide includes important Electrical Test Parameters, reference pictures for Compliance Patterns, Loopback sequences for both Gen 1 and Gen 2, how to overcome key Tx and Rx test and measurement challenges, and more. Simplify your USB Type-C Design Validation - From Complexity to Confidence. Comprehensive tools for debugging failures are key to building confidence that your product will pass compliance and achieve certification. This in-depth webinar will help simplify your validation tasks, moving from complexity to confidence. Learn more about the Type-C connector and the benefits it brings to USB 3.1, the latest USB 3.1 specifications, and how you can go beyond compliance testing to get to the bottom of issues that east into margin and cost valuable testing time. Testing for Gen [email protected]/s and Gen [email protected]/s with integrated DPP and protocol aware architecture. Quickly find the root cause of issues when testing SuperSpeed USB 3.1 Type-C designs with the combination of full SigTest support and DPOJET. Decreases overall compliance testing times – to less than 6 hours – and enables engineers to work on other tasks while the tests are running. Analyze waveforms in an off-line mode, send to co-workers across the globe and work together remotely to solve design issues.